Ever been in a place that was completely different from what you know – different sounds, smells, etc. – but still have it feel like home? Somehow, with its different culture, cuisine, music and language, the minute I touch down in Korea I feel like I have returned. Korea has a way of pulling you in without you even realizing until you find yourself singing in a norebang, banging a tambourine with some new friends. Korean people are some of the most accommodating and lovely people I have ever come across. They love Korea and will not let you go without knowing you love Korea too. They take pride in their wonderful country and aren’t afraid to show it off. Koreans love visitors so it’s not difficult to make friends. Locals are excited to share what they know and learn about wherever you come from. Koreans are friendly, curious, and accommodating. With the heat and humidity doing its best work on your sweat glands, you will want to find some relief and luckily this peninsula is surrounded by wonderful places to visit. Whether you spend your days picnicking at the Han river or hiking up to the Buddhist temple in the Sorak Mountains, there are plenty of activities to make you want to extend your visit to the fall. The Boryeong Mud Festival is a sight to behold! Every year, locals and tourists flood the coastline of Daecheon Beach to cake each other with mineral rich-mud. There’s nothing as liberating or as humorous as seeing everyone walking around covered in mud. This festival is truly one-of-a-kind. Being a peninsula, beaches are never too far away. It is easy to head to the beach for some water sports, sunbathing, swimming, or seafood – there’s something for everyone! The atmosphere and culture are certainly notable with local food vendors, festivals, and the family atmosphere along the shores. Hiking is serious business in Korea! With mountains taking up 70% of the landscape, it’s not hard to find somewhere to go for a hike. 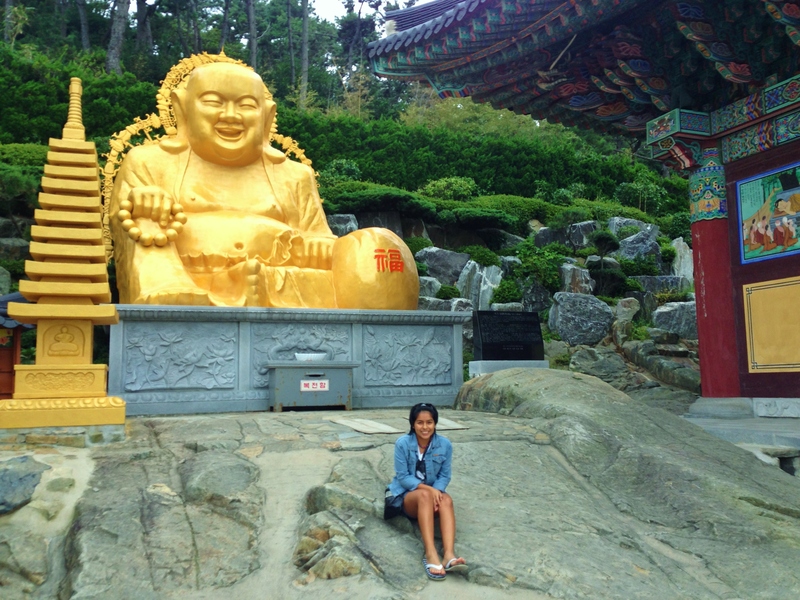 You’ll be able to enjoy breathtaking views, numerous Buddhist temples, and local restaurants. Even if you don’t take hiking seriously, this is a great opportunity to engage in local traditions and meet new friends. Without question, the Han River is the heart of Seoul. Bisecting the city, the parks surrounding the river are bustling with life. You can have fried chicken or pizza brought right to your picnic blanket, ride bikes along the paths, listen to live music, swim in the public pools, or play catch with your friends. The Han River showcases its best qualities during the summer. 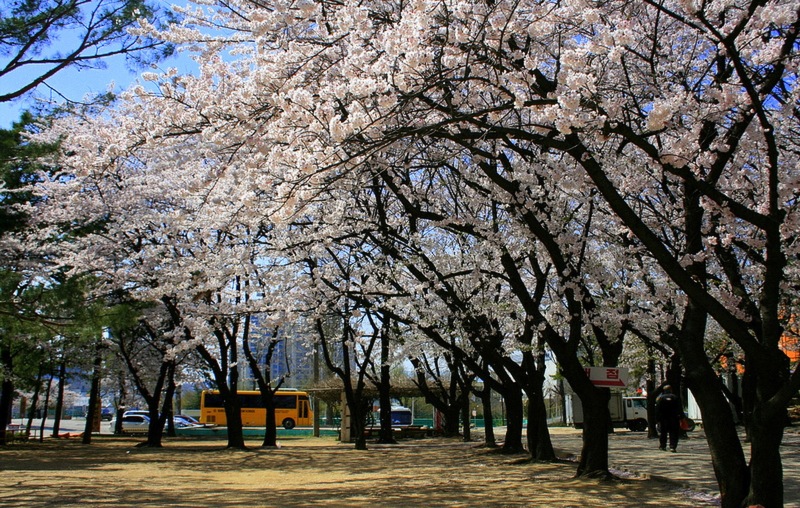 With a rich food culture, Koreans have unique foods that are best enjoyed in the summer heat. 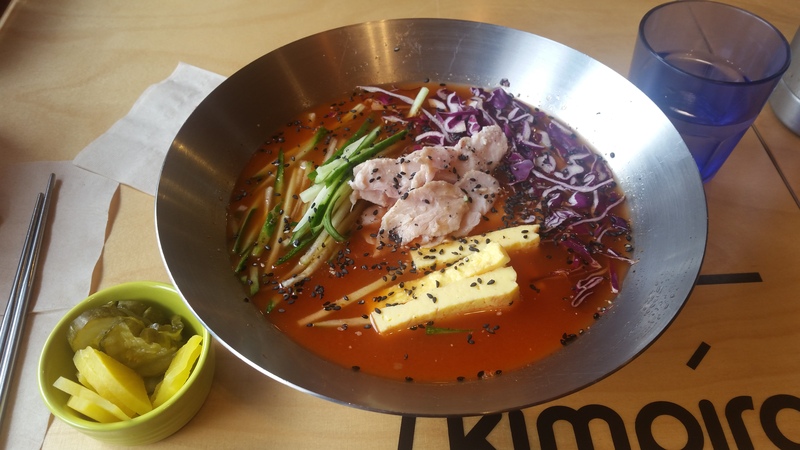 Try cold noodles, shaved ice, chicken soup, or bubble tea, all done in a traditional Korean way. Aside from these summer staples, the year-round favorites of kimchi, pork belly, seafood, veggie rice bowls, and spicy dishes will never disappoint. Be prepared to be overwhelmed with tasty choices! Summer is a great time to visit the numerous palaces, temples, and traditional villages. 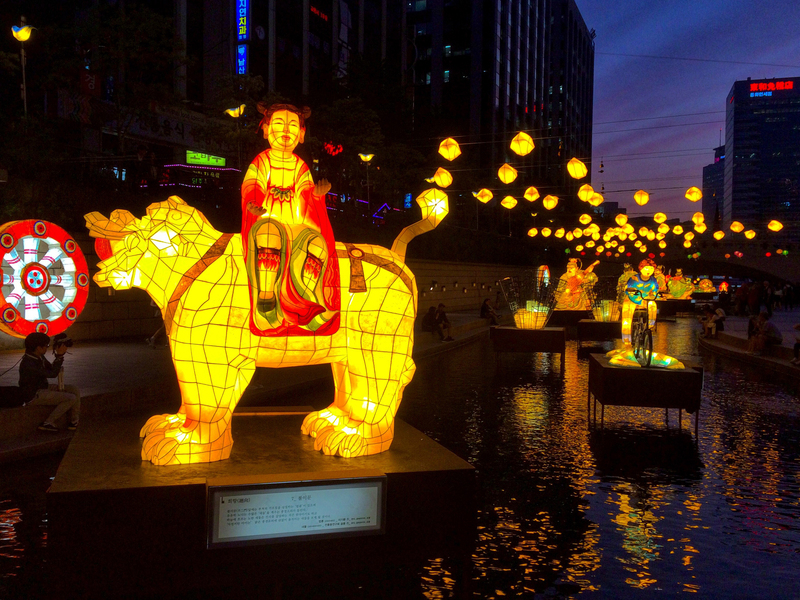 While Korea has hyper-modern cities, it’s easy to find history and tradition all around. Find Buddhist monks working at the local temple or a festival in a village that’s been preserved for hundreds of years. It’s easy to be swept away with Korea’s new culture, but it’s important to take a step back in time to see where it all began.